Scandals and high fees doom over 1,000 companies listed in the city to low valuations and feeble trade. The exchange may cut transaction costs to boost turnover, but that won’t solve deeper issues. Delisting would be a better solution for many, even if the process will be grimy. A panel outside the Hong Kong Exchanges displays top active securities during morning trading in Hong Kong, China October 11, 2018. Hong Kong's securities regulator on March 20 ordered nine brokers to freeze client accounts linked to the suspected manipulation of shares in investment firm China Ding Yi Feng Holdings. Trading in the company's shares has been suspended. Eikon data shows the company's shares began rallying sharply in July 2017, gaining as much as 3,680 percent before peaking in November 2018. In a statement, China Ding Yi Feng said its offices had been visited by officials from the Securities and Futures Commission on March 8. It said operations had not been materially affected, adding the board was now considering next steps. 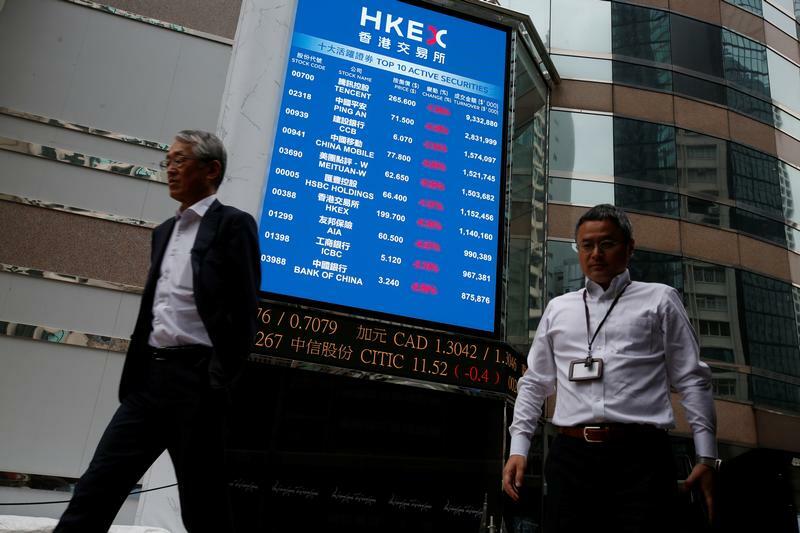 The South China Morning Post reported on March 18 that proposals being considered by Hong Kong Exchanges and Clearing to increase trading in smaller stocks include lowering fees for trading, and making more of shares eligible for sale and purchase by mainland investors through the cross-border Stock Connect programme.